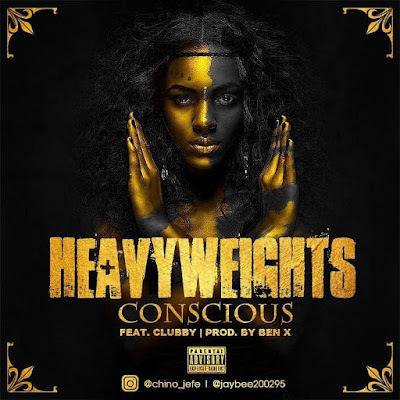 From the stables of Caerte Blanche Music, the BMAA Award Winning Champs, Heavy Weights El Jefe and Big Zeus, re-emerges with this certified club banger titled "Conscious" off the champion’s campaign debut . An afro medley filled with pick up lines featuring one of the south-south finest crooner "Clubby" mix and Mastered By Ace Ice. Big Zeus a known rap act from the south teamed up with a boyhood friend El Jefe to form the rap duo HeavyWeights, they’re about wrapping up their hip-hop album collaborating the best in the rap genre.